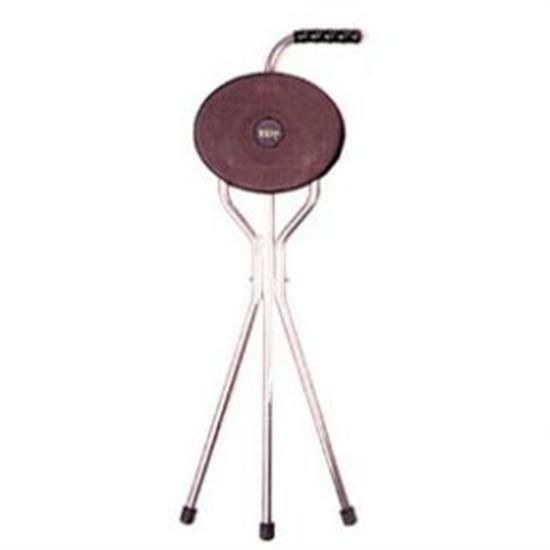 Trio Maxi Seat Stick With Tripod Base For Stability. Do you enjoy your walking but find that you sometimes need a rest? And sometimes, there's nowhere to rest? The Trio Maxi Seat stick means that you're never without a seat, or a stick! A tripod base provides a stable support to the comfortable seat that you can use to take the weight off your feet, wherever you are. And simply folding away the seat means that you can use the frame as a supportive walking stick. Clever, huh? I bought one of these sticks some years ago and I don't know where. I could not go out without it. It is light weight, a GOOD seat height unlike so many others. It supports me walking and easily flips open when need to sit. People(elderly, disabled and tourists!) stop me in the street to ask where I bought it. I didn't know but now I can point them to your site.